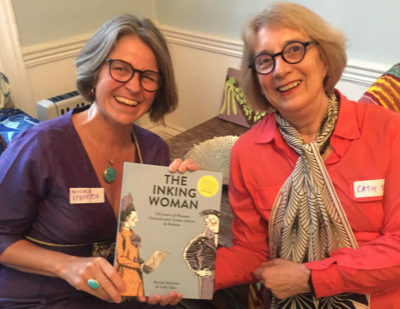 Nicola Streeten and Cath Tate, co-authors of The Inking Woman, are running an informal event (with some optional drawing opportunities) along with Rachael Ball, one of the book’s celebrated cartoonist contributors, at the Greenwich Book Festival. Nicola’s graphic novel Billy Me & You was recently chosen by The Conversation as one of ‘seven comics with vital things to say about humanity’. The format of the event is inspired by Laydeez Do Comics, co-founded by Nicola Streeten and Sarah Lightman, with a special focus on women’s humour and the history of women’s cartoonists. No experience necessary! For more information and tickets, book here.